A wristwatch is a reflection of the character of the person wearing it, and that same logic defines the high-performance, rugged timepieces worn by outdoor enthusiasts. 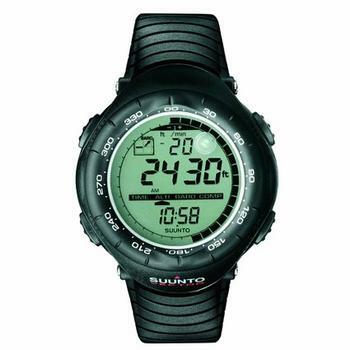 If you refer to the various Suunto watch reviews, you will learn that the brand Suunto has represented this ideal for over a decade. The brand is well-reputed for creating the best tough watch designs in a market where adopters of professional outdoor gear only accept the finest items. 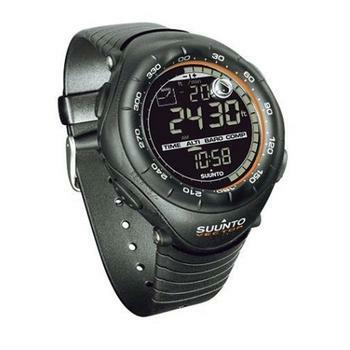 Made popular by active outdoor types, by explorers and adventurers, the Suunto Vector Wristop computer, a watch by any other name, confirms the iconic Finnish manufacturer’s position as an industry leader in outdoor wristwatch technology by packing all kinds of sensors into compact packages. Rivals in the class of best outdoor watch have always been known for integrating these kinds of navigational features into their sports watch products, but the Vector takes this approach to the next level. The durable black case of the watch includes an altimeter capable of tracking vertical progress, relaying height updates all the way up to 29,500-ft. A precision barometer function gauges barometric pressure, adding temperature to the data to predict weather changes. Getting lost while scaling heights or checking the weather is unlikely thanks to the built-in compass, a directional aid that relays cardinal points and a north to south orientation arrow. I think these exhaustive features alone are enough to rank the Vector as a leader in the best outdoor watch category, but there’s more to see. 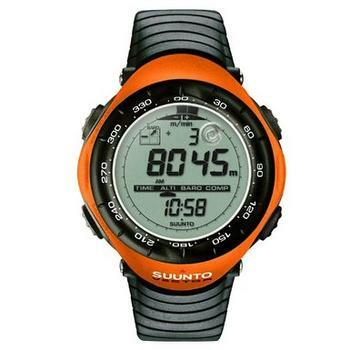 There’s a mass of toughness wrapping a host of technological innovations, and the sum of the features are tied together by the popular Suunto logo. All of the functionality and technical prowess stated thus far is supported by an invaluable range of user-defined features. I took note of the 24-hour memory faculty, the capacity to record altitude data and store barometric readings. An altitude ascent alarm can be programmed to alert a climber when a certain height has been reached. The compass enables extensive navigation accessibility by allowing the wearer of the Suunto Vector to take over and set a bearing. Follow that bearing into unknown territory and you’ll never get lost. A leveling bubble and a declination adjustment feature on the Vector complete the enhanced navigational role of the wristwatch, opening the gateway to finite navigational precision by adding a facility to set the difference between true north and magnetic north. The case of the watch is made from a composite plastic that’s designed to be impact-resistant and waterproof to 30-meters, a handy extra within the best tough watch category. The case does feel a little over-sized on my arm, but it’s still comfortable to wear. One noticeable point that caught my attention from the first was the super-bright backlight, an electro-luminescent vision aid that manages to bring a pale light to a small room. I can only imagine how bright this would be in a tent. The case sports a stainless steel band, and the entire assembly of the watch, including the strap, somehow manages to avoid feeling bulky though it is substantial in appearance compare to standard timepieces. Finally, the Vector Wristop Computer excels as a timepiece. The watch displays the time in the 12-hour or 24-hour format, adding a stopwatch, a countdown timer, three alarms and a calendar to the list. Some fine-tuning issues aside, this explorer timepiece is a member of the best outdoor watch class. Some of the measuring sensors do require calibration from time-to-time, and the battery quits after one year, likely due to the backlight, but the mass of features and the rugged build go far in backing the Vector as the best tough watch candidate, a timepiece engineered for adventurers. When it comes to true outdoor watch specialist, there are only few brands to consider. Casio G-Shock is definitely one name to consider but if you are turned off by the ‘big and bulky’ look of the G-Shock and you are looking for a great outdoor watch that still works great, Suunto Vector is something you want to seriously consider. It has all the computing capabilities required to qualify as your most handy outdoor assistant. It is not a cheap investment I have to say. 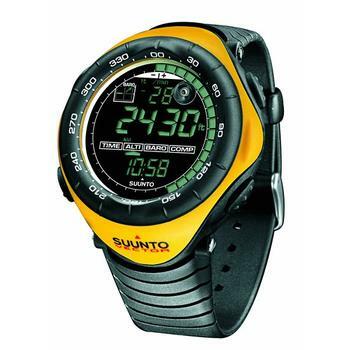 But if you are looking for an assistant that never fails when you need it most for your outdoor expedition trips, I would definitely consider Suunto Vector as among my top choices. True to the popular Casio G-Shock name, the GBX6900B-1 is a blend of toughness and multi-functionality aimed at outdoor enthusiasts. An injection of mobile technology elevates this member of the elite best sports watch category past comparable wristwatches by integrating Bluetooth 4.0 technology, delivering features normally only found on high-end smartphones. Does G-Shock GBX6900B-1 Live Up to Its Expectation? 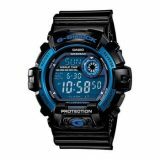 The G-shock 6900 Bluetooth Edition promotes the typical rugged styling of the Casio brand, placing emphasis on the chunky case and the matte black finish. The robust design is supported by a similarly toughened band of the same dark coloring, a ridged band that affirms the manufacturer intention to rule the best tough watch market. The ridges continue around the circumference of the case, protecting the four recessed buttons from impact. These shiny metal studs are labeled with common functions so that you can access the correct mode with no fuss or fumble. I found myself fascinated by flipping through the various modes of operation and the subsequent changes of the sharp digital figures in the split-pane display. The market for the class of best tough watch is dominated by high-end watches packed with features that blur the lines of classification. After all, the G-Shock 6900 Bluetooth Edition is a precision timepiece, but it’s also a small computer packed into a toughened watch chassis. The computer-like features include the popular Bluetooth 4.0 wireless standard, a means of communicating with modern electronics containing the same level of wireless connectivity. The watch has the capability to pair with a phone, delivering the convenience of notifications on your wrist. I know some of the scratches on my phone are from constantly removing it from my pocket to check emails, but this entrant in the best sports watch list sits on my wrist, relaying notification of emails and alerts for incoming calls. A phone finder function even locates your lost cellphone when it goes wandering. Multi-functional watches have been stacking new features on top of each other for some years now. But the Bluetooth connectivity as implemented in the G-Shock GBX6900B-1 raises the game. It adds mobile innovations to G-Shock durability, to environment defeating features such as water resistance to an impressive 200-meters. This is a powerful plus in the best tough watch column, and it really makes me feel like I’m strapping a small computer to my wrist. I’ve been able to control smart phone feature and even reverse the wireless marvel by setting modes on the watch from my phone. Those modes include the already mentioned phone finder feature, a countdown timer and a stopwatch, 5 alarms, a world time facility that contains 100 cities and 35 time zone, and the Casio reputation for precision time-keeping. All of these features employ the split-pane face well, but I did find the display a touch hard to read under certain lighting. That’s when I activated the super illuminator backlight and discovered excellent night viewing. This G-Shock contestant for best sports watch is checking all the boxes in a positive manner. The battery life of the G-Shock 6900 Bluetooth Edition watch is estimated to last for around 2-years, a factor influenced by low-energy Bluetooth 4.0 as developed for mobile devices. There are more features to discover in mastering this watch, for example, a vibration alarm and BLE sync time adjustments, but I personally enjoy the peace of mind offered by the solid design of the body and band. It may be waterproof to 200-meters, but I’ve been guilty of using this feature to become lazy, keeping the G-Shock on when showering. Take your G-Shock GBX6900B-1 further, to the ocean and a diving adventure or a surfing vacation. The race for the ‘smart watch’ throne is widely open. Samsung has made a headstart through its line of Galaxy Gear but has so far seen little acceptance from the mass market. Pebble is another early racer in the race but as of today, it is nothing more than just geeky toys. 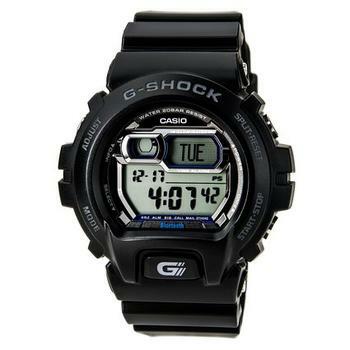 I see G-Shock GBX6900B-1 as a radically different approach compared the two. Is it the better approach? Only time will tell. But if you are looking for one of the ‘smartest’ G-Shock to work alongside your iOS or Android devices, I bet this will be a model that is hard to resist. A passion for durable construction lights up the thought processes of the Swiss engineers as effectively as the tritium gas lights up the elegant movement of the hands across the face of the Big Date Pro Blue. The Traser Classic Chronograph is all about light and military styling, pairing smooth analog movement with a stainless steel black frame. Precision guides the sweep of the hands, illuminating the constraints of accuracy with a luminosity brighter than that offered by standard watches. This is the ideal timepiece for a hostile environment, for a military operation or the coarse confines of a factory facility where manual labor defines operation. The slightly reflective black case is composed of a brushed stainless steel that exudes quality, deflecting impact and the scratches that typically deface quality timepieces. Here’s an example of the best tough watch in its class that can also fulfill a role as an elegant timepiece for a black tie event. The Trigalight illumination, as fueled by gaseous tritium, fills out the hands as they count the hours, minutes and seconds with luminous intensity, ideal for the best military watch candidates during a midnight maneuver. This same bright luminosity accents the face of the watch, lighting the outer ring and the white indices that divide the circular sweep into five minute intervals. I’d note that this particular model is the limited edition variant, spraying a soft blue illumination. It’s a small detail, but I think it would be of interest to collectors and those looking for the best tough watch contestant with just that little bit extra regarding unique features. A military-styled watch should relay all essential time-related information at the flick of the wrist, and that’s exactly what the Traser Classic Chronograph Pro Blue accomplishes thanks to the blue illumination, a date display, and three additional sub-dials. Swiss Ronda 5040b quartz movement propels each hand with fluidity, conveying the time, adding a stopwatch feature and a chronograph function through the application of an independent sweep of the second hand. The durable stainless steel case is matched by sapphire crystal glass, leading scratch-resistance technology as applied to high-end mobile devices. This protects the delicate drive of the analog display, preventing any scratching. I’ve heard tales of sapphire glass displays looking as good after a year of heavy usage as the day they left the store, and I have no reason to doubt this claim, a powerful point in selecting the best tough watch. The Traser Classic Chronograph Big Date Pro promotes a black PVD coating on the steel case, integrates enhanced illumination and a powerful shield of sapphire glass. Not only that, it’s also a fine timepiece built to exacting standards, a proven claim that’s important in the best military watch category, as precision is everything when managing timed operations, the coordinated events associated with armed forces organizations. Every dial has a consistent brightness, although the smaller dials may present vision problems for folk with less than stellar eyesight, especially at night. I’ve found myself putting on my glasses to read one of the sub-dials in the wee hours, but I have to conclude that military types will have superior eyesight and make the push to keep this fine watch in the best military watch zone. The black stainless steel case, black bezel, black dial, and all black metal band may come across as conservative to some, but the functionality of the watch, the high-performance rating for its intended purpose, can’t be faulted. The Traser Classic Chronograph is to me, looking like the best option for those looking for the best military-style watch – be it for life-critical mission or just an addition to their wardrobe collection. 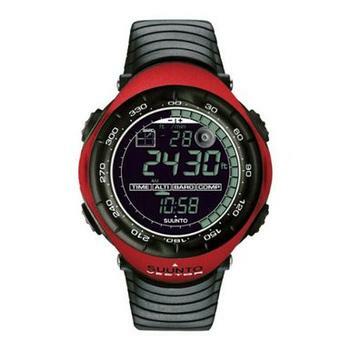 Casio is a long-standing leader in the world of digital watches, and G-Shock is one of their most recognized lines. Buyers looking for the best tough watch are often impressed by the durability and build quality of G-Shock watches. For this review, I decided to give the G-Shock G8900A-1 a try. G-Shock has been making awesome watches for over thirty years. Will the G8900A-1 turn out to be one of the best sports watches on the market, or will it fail to live up to expectations? The Casio G-Shock G8900A-1 features a super bright LED backlight, which the wearer can activate by flicking the wrist or pushing the large button at the bottom. The watch supports up to five daily alarms and a countdown timer, and it can be set to flash the light along with the buzzer. In addition to keeping the time of up to four cities, it also displays world time (UTC). Casio claims the battery will last three years. All that’s great, but if you’re like most people, you’re most interested in how durable it is. The bezel of the G-Shock G8900A-1 is made of solid aluminum, making it resistant to damage from being struck from the top. The band is tough resin. Even if this is the best tough watch, you won’t want to wear it if it fails as a timepiece. Putting it on, the first thing I noticed is that the band is quite a bit thinner than G-Shock watches I’ve tried in the past. Somehow, it doesn’t feel as rugged. 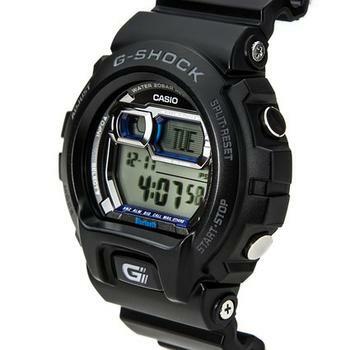 But G-Shock’s bands have proven to be so tough that there is probably no harm in making the band slightly thinner. The band is quite shiny, which makes it seem less appropriate for a formal setting. Your friends may be impressed that you’re wearing one of the best sports watches, but will a business client? The face on the watch seems huge, which isn’t a problem for me, but on a thinner man it may feel awkward. The display is great, and I think that making the numbers white on a blue background looks nice and is a real attention-getter. The only downside is that the numbers can be hard to see outside in bright light. The LED backlight with wrist-flick activation is super convenient, but a big disappointment is that it only lights up the time display. The information at the top is not lit up. Always a stumbling block for new users, the many features of the watch take some time to learn to use properly. The manual is extensive and can seem daunting for someone looking to get started. And it is clearly made for the young, because the print is tiny. If you want to play around with the world time setting or the set buzzer flash, you’ll have to put some time into it. Anyone looking for the best sports watch will surely be familiar with the G-Shock brand, and this model shows that the line hasn’t lost its edge. The only quibble I had was with the thinner band, but it’s up to the buyer to consider how much pressure they are likely to put on it. Otherwise, I was thoroughly impressed. But don’t take my word for it, try it out for yourself. If you want to find the best tough watch on the market, you’ve got a lot of models to go through. While the final decision is yours, I wouldn’t hesitate to include G-Shock G8900A-1 as among my G-Shock recommendation list. Finding an acceptable divers watch in recent years has come at a compromise for most consumers. We want the ablity to have it all, yet it almost seems that you pay too much for a lack of functions or pay too little for the thrills of diving to destroy your time piece. The Seiko SSC021 Solar Diver Chronograph watch brings many facets of quality to many anxious divers and Seiko loyal connoisseurs. But what specifically about this watch has helped it gain a reputation as one of the best dive watches around? Given the legendary status that the Seiko BFK SKA371 has earned, the bar is certainly set high for Seiko SSC021 to clear. How does it fare? Let’s see and find out. Released in mid 2011, the Seiko SSC021 is easily recognizable from its big hands, bold appearance and quality of craftsmanship. The SSC021’s dimensions including a 44 mm diameter stainless steel casing, 14 mm case thickness and ion plated bezel give the describe the detail of robustness. To be considered as the best tough watch, the SSC021 is ISO diving rated for up to 200 bar underwater pressure and the ion coating helps keep up the cosmetic integrity of the dial markings. 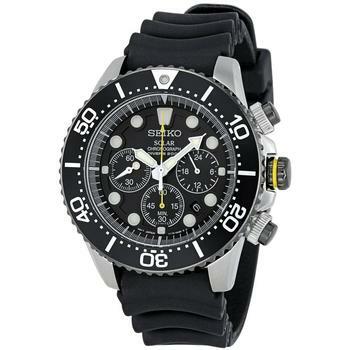 The main reason all divers should consider owning this watch in their collection is for its large dial. 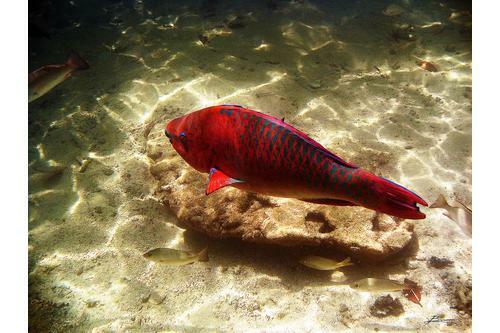 It’s as attractive as its helpfulness underwater. The markings are legible with hour markers resembling pearls. Also both hands visible to clearly read time accurately which brings a new level of attraction and attention to this watch. This watch is solar-powered with the second-hand acting as an end of life indicator when the watch is found low on charge. Keeping the best dive watches in direct sunlight or artificial light will prevent the watch from having an abrupt stop and exact movements from quartz technology keep the second-hand to precise movements. The best tough watch owners all agree that one of the major benefits of the SSC021 is its usability. It’s considered a great day-to-day sports watch that sits comfortably upon the wrist without any shift or slack from the bands provided. Many consumers find the solar option a nice touch, for it allows them to continue using the watch without concern of frequent battery replacement. One of the standout features the Seiko SSC021 is the luminous display for clear night and underwater viewing. These features all pay tribute to Seiko’s reputation for strong craftsmanship. no detail spared in the design of the SSC021. There are many positive attributes of the Seiko SSC021 watch, however these do not come without a few issues customers have found unsettling about the time piece. The wrist strap is the biggest point of discomfort for most customers. The nylon band material is uncomfortable and undesirable to wear. What many patrons of the SSC021 have done was replace the original plastic band with cloth or metallic bands to restore their faith in one of the best dive watches available. Some consumers believe Seiko not adding a sapphire crystal to the dial’s design was uncharacteristic, but this shortcoming doesn’t discount the overall quality of the diver’s watch. Other small issues such as scratched glass over time, trouble reading the date dial at the 3 PM position and a few sample watches having the bezel not matching with marks on the dial are all valid concerns to keep in mind. All in all, I would consider the Seiko Mens’s SSC021 as among the finely made tough watch that many divers find it a worthy consideration. The removal of major issues about the plastic strap discomfort include buying alternative selections. 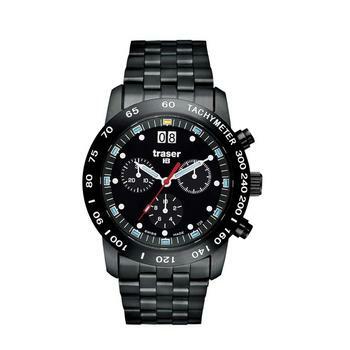 So, do you think this is the perfect dive watch that you’ve been looking for? If not and $200 is your budget limit, which watch would you consider? Do check out our pick of the best tough analog watches under $200. I recently purchased this watch for my underwater adventures and was pleasantly surprised by the features that it provided. When I made the purchase, I was in the market for a watch that would continue to work even when deep under the sea. Since this watch is rather affordable and offers water resistance as deep as 330 feet, I figured I would give it a try. In this review, I will attempt to offer potential watch buyers guidance for deciding if this is the best tough watch for them. 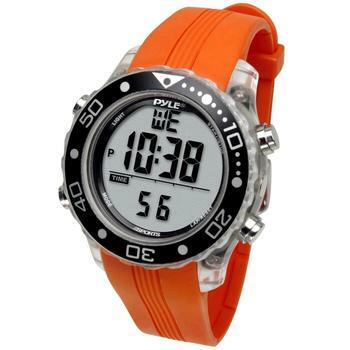 Is Pyle Sports Watch any Good? 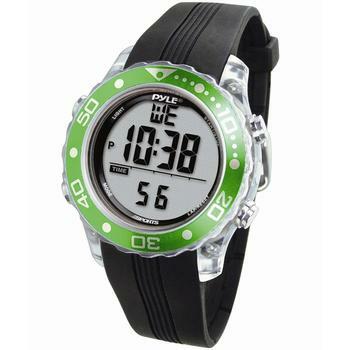 Watch buyers looking for a versatile watch will be excited to learn about the Pyle Sports Snorkeling Master Watch. Unlike other deep-sea watches on the market, this one is clearly designed specifically with divers in mind. The watch’s electro-luminescence helps divers see underwater by giving them an extra source of light. 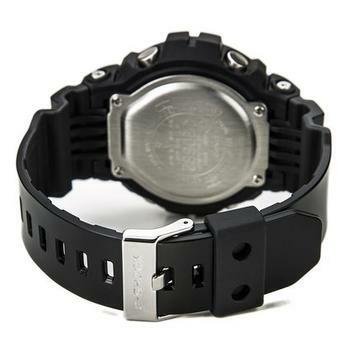 Additionally, the watch has a strong backlight that can easily be seen when under the water. 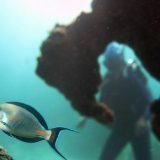 This can make it easier when doing a deep-sea dive to make sure that a diver does not stay under the water for too long. This way, divers can protect themselves from accidentally running out of air while making a dive. In my experience with this watch, I found that its best features were those associated directly with diving. The watch’s manufacturer clearly went out of its way to ensure that the watch includes many functions that help with deep dives. For example, the watch has a function that lets divers measure the duration of the dive just before going under the water. The watch also can give divers feedback on whether they are diving too deep by giving a warning signal when a maximum depth is reached. I tried this feature out personally, and I can verify that it works with incredible accuracy. I also liked how the watch measures the water’s temperature to give additional feedback to me as I dive deeper under the water. 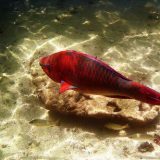 This can help divers stay out of pockets of cold water that can lead to harm if divers do not remove themselves from the area quickly. 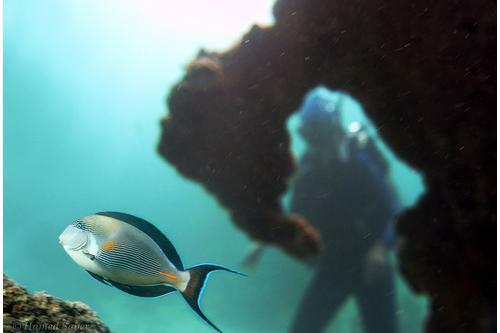 This can also help with divers who like to explore areas of active volcanic activity where water temperatures might be too high to support life. One thing that I did not like about the watch was how it only goes to 330 feet. I know of many cheap watches that are rated for depths in excess of 500 feet. Perhaps in the next edition Pyle Sports will consider making this a bit stronger if it really plans to consider itself as the best tough watch. Another thing that I did not like about the watch was its green glow in color. While this may have been cool 50 years ago, it certainly isn’t that great in today’s world of color displays. I hope to see changes to this made as the watchmaker continues to improve its product. 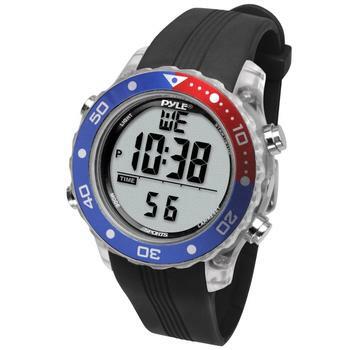 Pyle sports snorkeling master watch has been the better watches I have used underwater to date. I have been quite satisfied with its performance, despite its shortcomings. Its tracking features go beyond what I’ve had the opportunity to present in this review, and I love how it automatically alerts a diver when ascending at a rate greater than 6 meters per second. As its name suggests, it is a watch that has been designed for snorkelling more than serious diving. If you are a professional diver, the features found in this watch might not make the cut and you might want to check out our professional dive watch champions instead. But if you only have $500 budget to splurge, our pick of the best dive watch under $500 might be more suitable.